Hat tip to James from TempusFugitWatch.com. 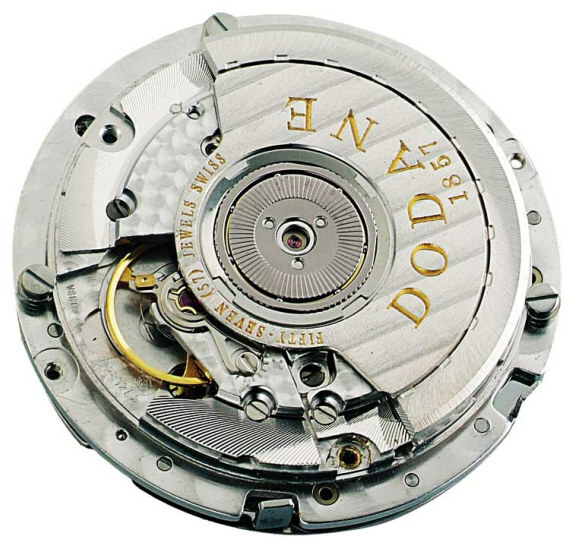 Established in Besançon (French Mecca of watchmaking) in 1857, Dodane SA specialized in the manufacturing of aviation watches and clocks.For connoisseurs and collectors, Dodane are famous for their French military chronographs with flyback feature. 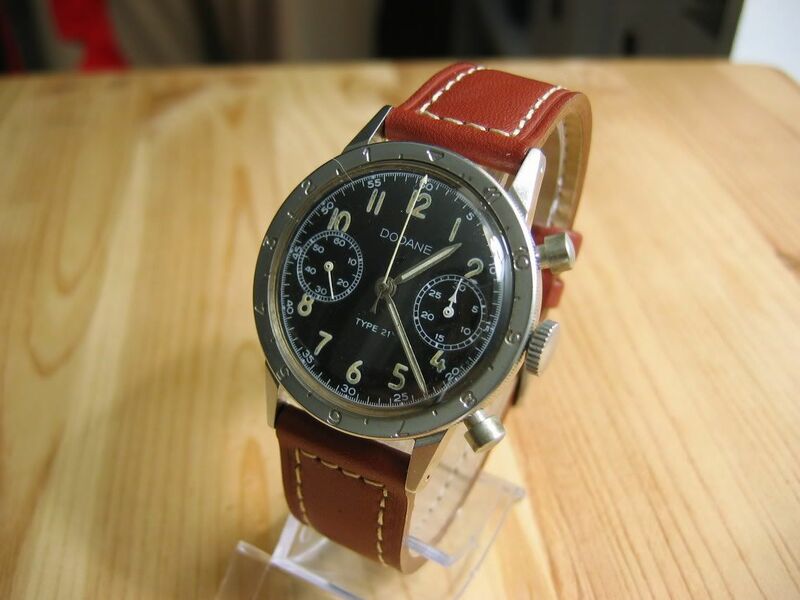 From 1954 to 1994, they produced more than 5000 chronographs distributed under various brands. Together with Breguet, Auricoste and Vixa, they were official purveyors to the French army. The company was overtaken in 1994, which led to the creation in 2003 of Dodane 1857 by the founder’s heirs. Two nice things about the new company is that they assemble their watches in France, and upon customer’s request a timepiece can be sent to the observatory of Besançon for Chronometer certification. 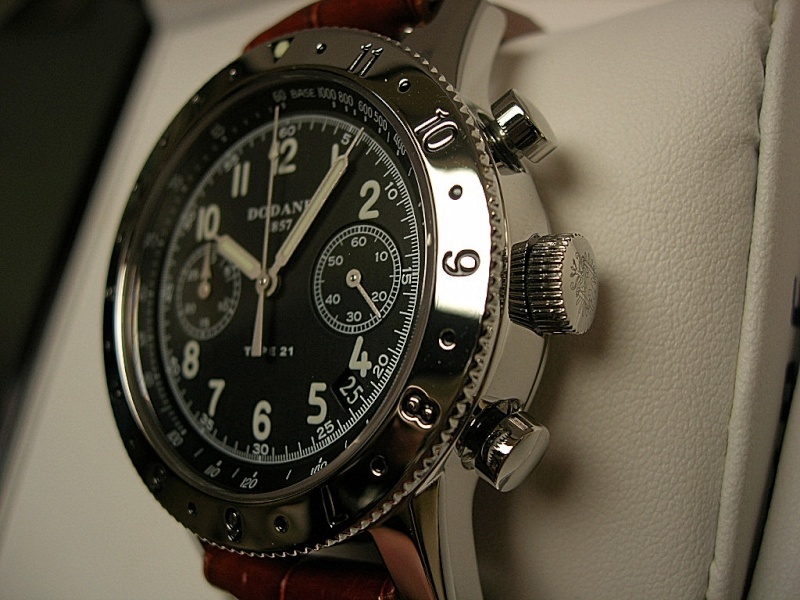 Current collections make use of chronograph modules designed by industry leader Dubois-Dépraz. 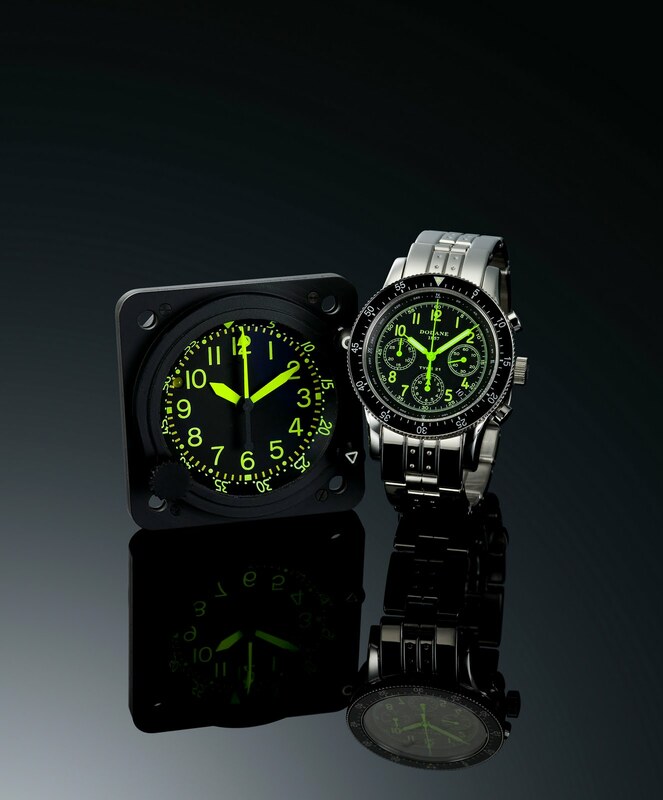 Calibre 42021 features three counters and date, and calibre 42022 only features two counters but has the legendary flyback function. They are now at their 4th generation of the new Type 21, and it has been fine-tuned to be faithful to the original. In terms of customer service, the small size of this company seems to allow them to be very responsive, so they have quite a good reputation on forums. The company has been consolidating it distribution, and it is now available in the USA, at TotallyWorthIt.com.